You're about to create MIRACLES with your Message while you're making a MASSIVE Impact and Income! 84% of new business are owned by women and only 50% will see the 5 year anniversary and only 30% will see 10 years. There is no mistake about it. Getting your message, your purpose and passion out to EVERYONE that you know you can help, can feel like an uphill battle! Are you DONE feeling like all of your golden gifts are wasted? Are you battling to reach the number of people you want to truly help? YOU’RE IN THE RIGHT PLACE! Read on. Right now, you’re exhausted, you’re frustrated, and desperately searching for the magic miracle that will catapult your business to the level you know you’re capable of… But you just can’t see the way there! 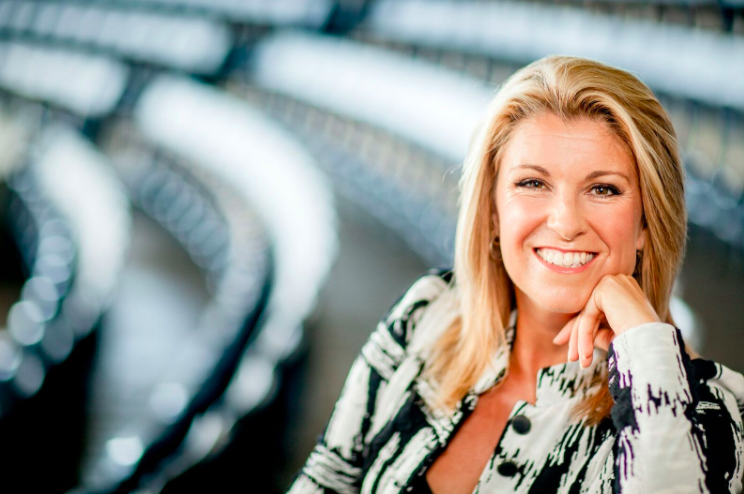 What if I was to tell you there was another way to TICK ALL THE BOXES in your business dream? Imagine……. Leveraging your time with a proven strategy to position and market your message as you explode the number of people you serve….. And you can do it straight away! Imagine……. Sharing your message, passion and purpose with soul, style and strategic clarity while watching your income, influence and impact expand effortlessly! “I know exactly how you feel. I’ve been an entrepreneur for over 15 years now! That’s 15 years of riding the rollercoaster of uncertainty to clarity, from doubt to deliberate action, and from massive debt to 7 figures. Being in business is the most rewarding, frustrating, challenging, gut wrenching and most of all, EXCITING experience in life. Ten years ago I was a depressed shadow of who I am today. My partner had committed suicide, my best friend lost her life by my side in the Bali bombings, and I wanted to take my own life. I didn’t see the point of carrying on, until one day I reached an epiphany moment. For me to survive all that hurt, all that pain, all that stretching of my spirit, there must be a REASON for me being here. So I set out to uncover it. Aftera whole lot of healing, learning and re-educating myself, I chose to spread the message of hope, love, and potent purpose in the world. Now, here I am, one decade later and I enjoy the greatest satisfaction of living my life’s purpose through a business that is all about self-expression enormous impact, and powerful influence in the world. And I know you, like me, you want to create that same impact. To stand up for the gifts and talents that are calling out to be shared. We are waiting for YOU to take your place in this enormous awakening of Soulful businesses and Conscious Contributors! I’m sure you’ve already realised that there’s a lot of hype and ‘salesy’ marketing out there – and I’ve heard from thousands of graduates, this approach just DOES NOT WORK! That’s why I wanted to get raw and real with you and give you my 100% commitment to helping you share your most congruent and authentic message. This is my personal story that reveals how I heard that very same calling that is stirring in your bones – and why I KNOW the Universe has brought you to this page, today! If you’re ready to take your place among the Conscious Contributors that are making miracles with their message and business offering right now? You may not know what to do, you may not know how to do it, but what YOU DO KNOW is that you’re thirsting to make a difference – and right NOW. There is a calling inside of you demanding that you Step UP and Step into the Spotlight so that more people know how to find you. You know it, you feel it and while you hold yourself back, your world is out of balance. It’s TIME. The world is waiting for you to answer the call. This is my heartfelt invitation to join me on the journey to learn how to take that message of yours, those big gifts inside of you, and share them – with strategy, style and purpose. Let me walk beside you every step of the way as you move, touch and inspire the hearts and minds of the people you serve! 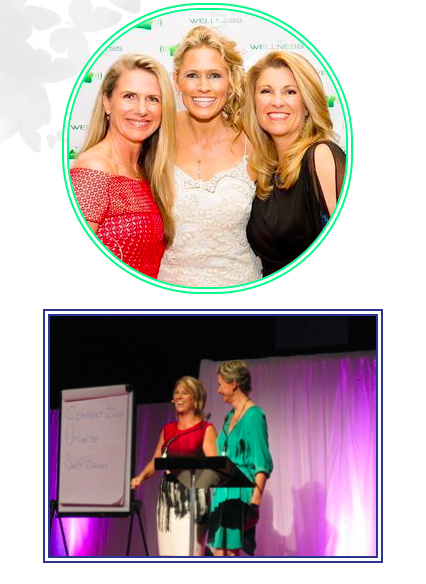 Speakers Fast-Trak is best suited to women in business who want to take their message to the masses and create a miraculous ripple effect both online and off-line! This is your vehicle to serve more people, create change in your industry, position yourself as the ‘go to’ person who has the resources and desire to create breakthroughs and transform lives. You will feel inspired and empowered to share your message, product or service with confidence and courage AND do it in a way that leverages your time, income and energy. By using speaking as part of the marketing methodology you will build your profile, attract massive groups of clients and create the income your investment of energy deserves. Carren, I’ve got a big message, BUT... I am afraid of public speaking? I am nervous of speaking to groups? Scared of people looking at me and judging me? Receive dedicated one on one support from me and my crew to help you master your message and discover how to create an impact live and and online! Fall in love with this accelerated journey of personal growth that has you leap over challenges with new-found courage, confidence and vitality. Develop crystal clarity on how to grow your income and explode your profile using the Speakers Fast-Trak Formula. Craft your own story and message into a compelling, inspiring and highly profitable engine for your business. Effortlessly serve more of the people you wish to impact, and lead a following of inspired human beings eager to know what YOU know. During the four module online training program, you’ll receive access to videos, work-booklets and audios via a custom designed membership site. Together, these give you the step-by-step instructions on exactly how to make miracles with your message and motivate the masses! Over the four weeks of video training, you will develop a masterful presentation through the four learning styles. Why, What, How and Kinesthetic (Do it!) learners represent the primary learning styles of each of us, which includes your audience! It stands to reason then, that ensuring your presentation meets the needs of each participant, you’re almost guaranteed a smooth, engaging and memorable experience for everyone! With this in mind, we have divided the videos into each learning style to make sure you gain full comprehension of how to apply these learning styles to your message. Discover how to be raw and real as you share what your own story in the most empowering way. Week two, we cover the What learners along with exploring how to deliver powerful and compelling stories, reveal statistics and set the agenda for the information that is about to follow! How to deliver the nuts and bolts of what you offer and inspire your audience to be curious about how they can change their lives based on you sharing your passion and experience. Week three, we reveal the intricacies of the How learner along with the most engaging way to keep all learning styles interested and coming along for the journey as you guide your audience to the home stretch of your presentation. Design a practical “taste” of your work in action, so that your audience can have an experience of YOUR unique brand of magic AND create a really memorable, action focused finish to your presentation. Finally in week four, we build the Kinesthetic component of your presentation and explore some super examples that turn your presentation into a memorable and inspiring experience 100% of the time. Meet Carren and work on your presentation. 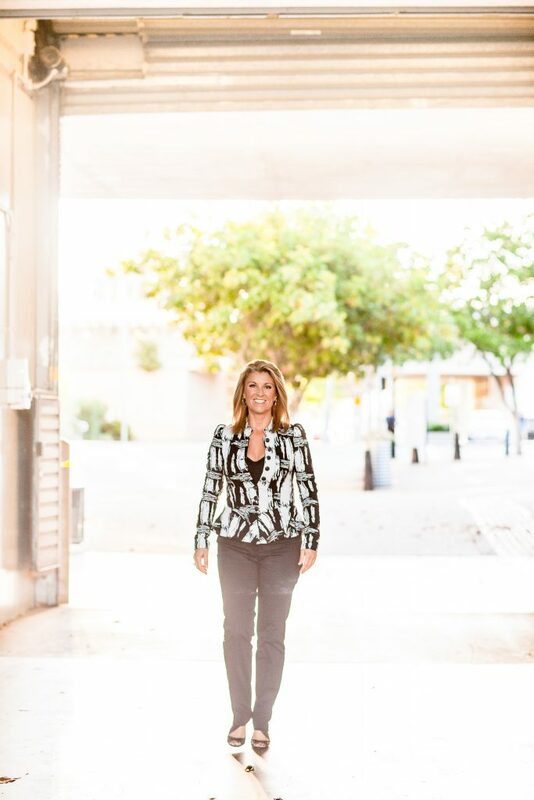 Dive deep with Carren to walk away with an absolutely EXTRAORDINARY presentation and accelerate your journey to more money, meaning and freedom in your business! So what is your investment to harness your message and delivery it with strategy, style and purpose? Who am I? And why do I care so much about you and your message? When I spoke for a room of 2500 people in San Francisco, this is how I was introduced. Pretty cool hey? One thing I’ve discovered is that if you want to learn how to do something new, it’s best to learn from someone who has created MASSIVE SUCCESS themselves. After seeing so many amazing business owners with powerful messages, products or services, but no voice or confidence to engage groups, I realised, it was time for me to share my MAGIC FORMULA for reaching more people. Reaching 450,000 people across the globe, 2,200 professional presentations and a million dollar solo business….. Does that sound like something you’d like to know the recipe to? Well, we are both in luck, because Speakers Fast-Trak is the recipe, ingredients, showcase and opportunity all rolled into one! How to know if Speakers Fast-Trak is for you? Your cash flow is up and down constantly and, you’re ready to figure out how to attract more clients, with ease. You want to be recognised in your field and be the GO-TO, top of mind person! Right now, you feel like you’ve lost your mojo, you’re not good enough or dynamic enough to get yourself ‘out there’ and ‘stand out’! You wish there was an easier way to spend more time on what you love, and less time on what you don’t! Above all else, you spend more time spinning your wheels than you do making an impact on the world! You’re not interested in enjoying ever-increasing reach and reputation, and attracting the ideal joint venture partners, colleagues and business connections. If you don’t care too much about being of service, helping humanity and changing lives using what you’re most passionate about! If making an impact and sharing what you know isn’t important to you !